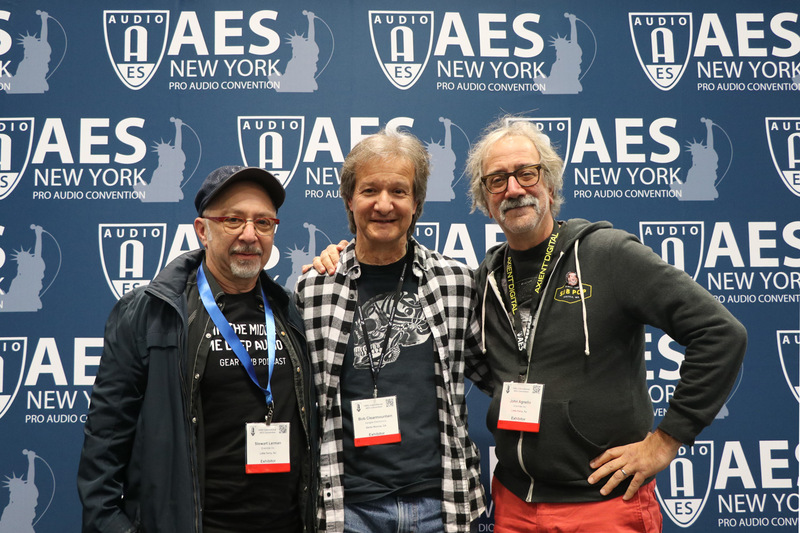 John Agnello and Stewart Lerman talk with Bob Clearmountain in Episode #45 of Gear Club Podcast live from the 2018 AES NY convention. 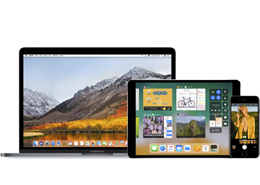 Check out this post to make sure you have the latest information about compatibility with Apogee products and macOS Mojave and iOS 12. 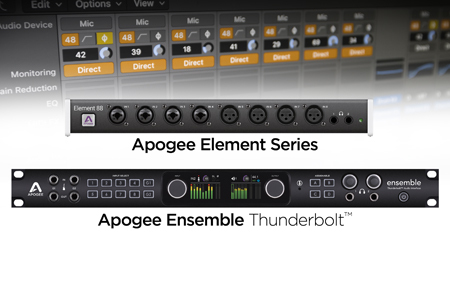 Designed specifically for Ensemble Thunderbolt and Element Series audio interfaces, Apogee FX Rack provides dynamics and EQ plugin processing that runs both natively in your DAW and on hardware-based DSP in your Apogee interface. 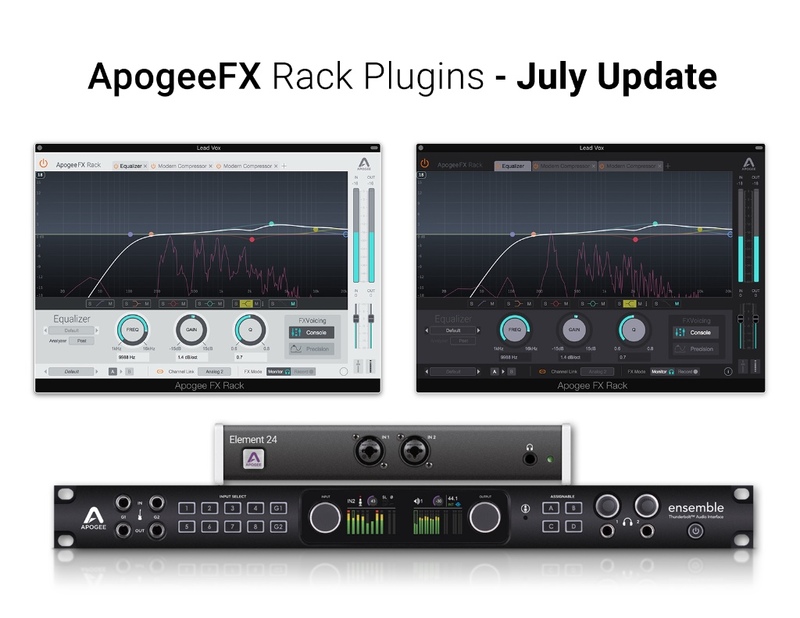 Check out the post for the latest news about Apogee FX Rack. Symphony I/O Mk II is now available with connectivity to Waves SoundGrid® network. 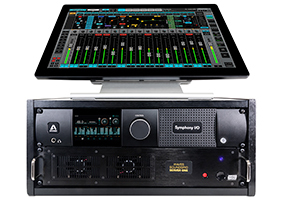 With a simple Ethernet connection, Symphony I/O Mk II’s industry-leading sound quality can be easily accessed from your computer, shared between multiple rooms, multiple computers and supercharged with almost infinite real-time DSP power via Waves SoundGrid servers. Symphony I/O Mk II SoundGrid integrates seamlessly with all DAWs, providing endless possibilities for setups of every size for studio, live and post production workflows. 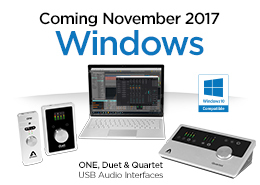 Apogee is pleased to announce Windows 10 compatibility for the latest generations of ONE, Duet and Quartet USB audio interfaces. New Windows 10 software installers for these products are expected to be available on Apogee’s website November 2017. 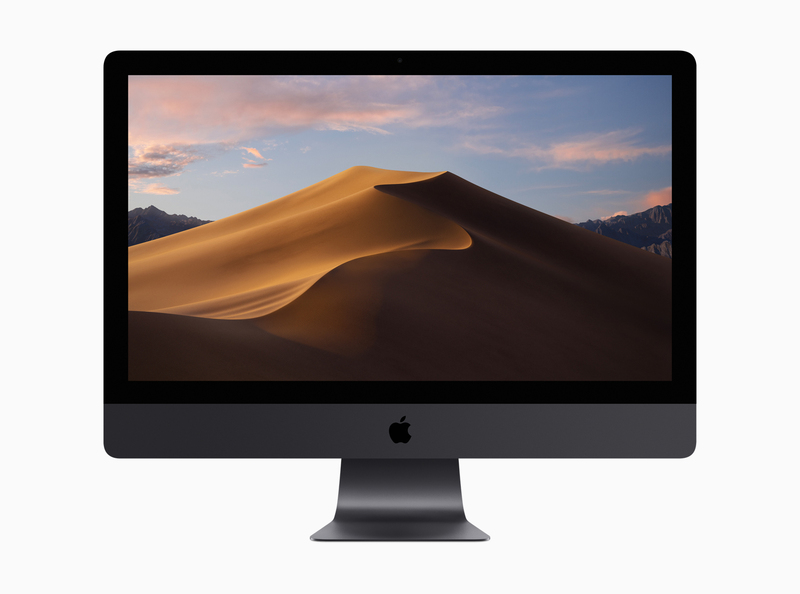 See the latest Apogee product compatibility status for macOS High Sierra and iOS 11. 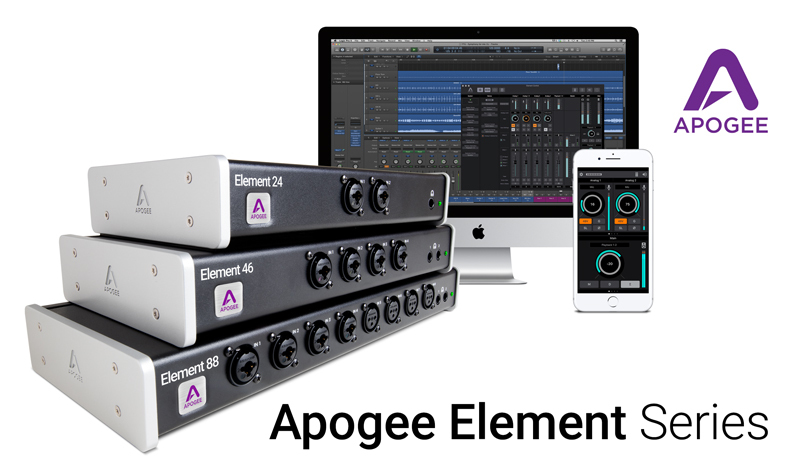 Apogee Ensemble Thunderbolt and Element Series audio interfaces now offer Direct Monitoring support in Apple’s Logic Pro X (10.3.2) that easily eliminates recording latency with the simple click of a button. 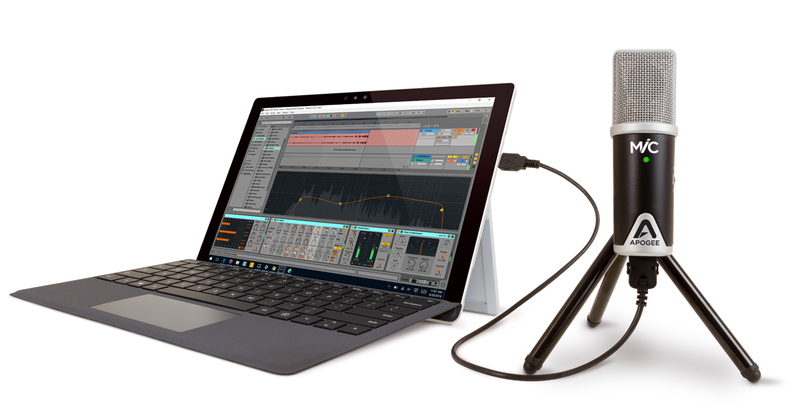 Apogee Electronics is pleased to announce MiC 96k for Windows and Mac. MiC 96k is a professional 96kHz, 24-bit USB microphone that makes it easy to capture vocals, voice overs, podcasts and acoustic musical instruments on your Windows or Mac computer. 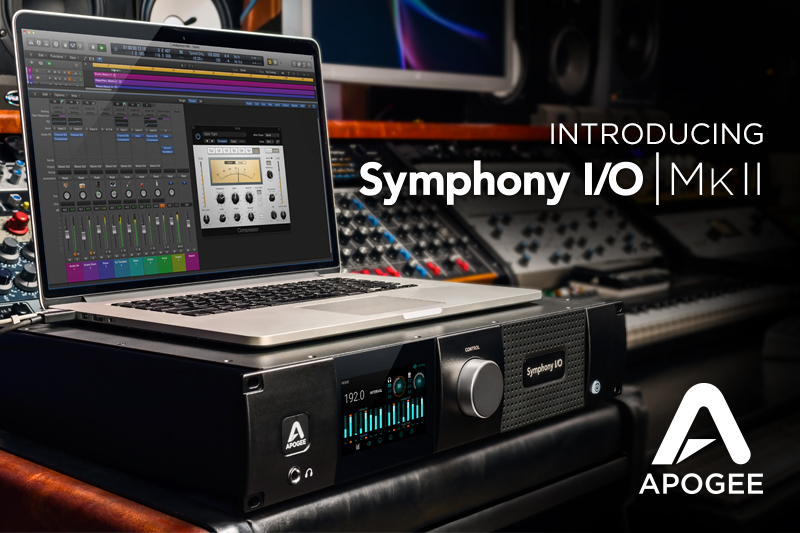 Apogee Electronics is pleased to announce the availability of the Symphony I/O Mk II HD audio interface, designed for Pro Tools HD systems. 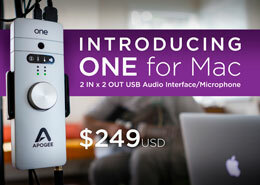 Apogee Electronics is pleased to introduce a new member of the ONE audio interface family, ONE for Mac. 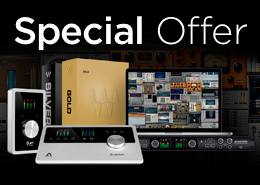 Apogee Electronics is pleased to announce the ONE, Duet, Quartet and Ensemble audio interfaces now include access to special offers on your choice of any world-class audio plugins from Waves. 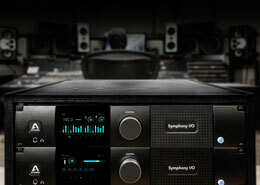 Apogee is pleased to introduce a second generation of their flagship audio interface, Symphony I/O Mk II. Symphony I/O Mk II is a multi-channel audio interface featuring Apogee’s latest AD/DA conversion, modular I/O (up to 32 inputs and outputs), intuitive touchscreen display and optional world-class microphone preamps. 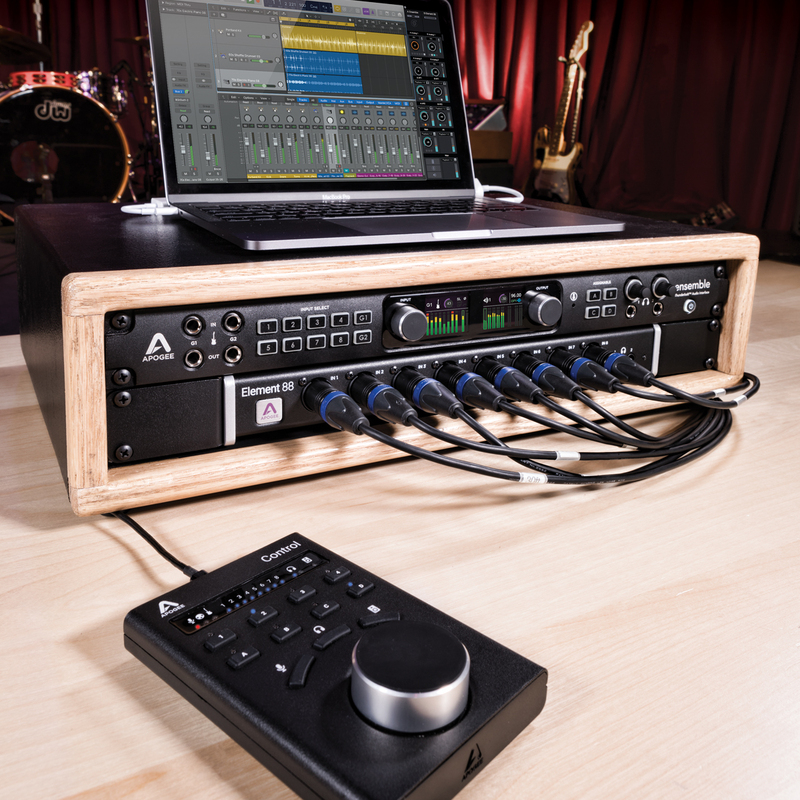 The new Symphony I/O Mk II comes with direct connectivity to one of three different platforms – Thunderbolt™, Pro Tools® HD or Waves SoundGrid® network. 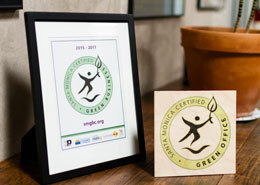 Apogee Electronics has been re-certified by the City of Santa Monica as a Green Business for operating in a responsible manor by reducing waste, maximizing energy efficiency and keeping the smallest carbon footprint as possible to protect our environment. The Global Fund For Women is an organization that focuses on the human rights of women and girls. They find, fund, and amplify the courageous work of women who are building social movements and challenging the status quo. Apogee Electronics is now offering amazing deals on select Waves plugins for customers who purchase Apogee Duet, Quartet or Ensemble. Since June of 2015, Duet, Quartet and Ensemble have included Waves Silver and Gold plugin bundles. 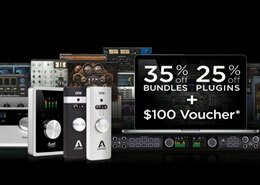 Now, for a limited time customers who purchase or have already purchased any of these Apogee/Waves packages can also take advantage of special deals on popular standalone plugins.